I also tried the new 11″ iPad Pro late last year and was really temped to find an excuse to keep it around, too. That little bit of extra screen size and the new design were both very attractive, but the simple fact is, the Pros are just too expensive to justify having two new ones. I just couldn’t make that work. This is what makes the new iPad Air an interesting proposition. It occupies a middle ground position in Apple’s tablet lineup that used to be left to devices from previous years that were either marked down or put on close out. In fact, there really hasn’t ever been a current year model that has occupied this spot before. There has been the iPad Mini and now the iPad at the low end, and the Air, Air 2 and then the Pros at the high end. So the middle is brand new ground for Apple tablets, in a sense. Going back to this 11″ Pro comparison, while the bezels are obviously bigger and the screen a little smaller, the new Air actually has the same basic footprint as the next device up the ladder. In fact, as I type this article with a Bluetooth keyboard, I have the Air in the Pad and Quill Contega Thin Case for the 11″ Pro that I reviewed earlier this year. It was more challenging to line up the camera, but the iPad Air itself still fits this case just fine. So this device has the same attractive balance of size, weight and screen size that made the 10.5″ Pro, and now the 11″ Pro, strong sellers. What really sets the Air apart is that it comes in with a more appealing price, as well. I will be honest, the only feature from the 10.5 that I reviewed in 2017 that really stood out is the four surround speakers. You notice that they are missing when you are listening to music or video. While I am sure an artist or an engineer who does draft work would notice the lack of ProMotion, I can’t. Most everyday users likely won’t be able to tell that difference, either. That is more of a specialty feature and someone who is looking for that level of tracking precision is likely going to go with an iPad Pro to get it, anyway. So what stands out about the iPad Air? Very little, but that’s actually a good thing. It brings enough of the features that made the 2017 iPad Pros great to not pale in comparison. There are no major negatives that come to mind from the concessions that were made to cut the price. While the missing speakers are noticeable, they are also forgivable at a lower price point. It will be interesting to see if there are limitations that come to light in the future because Apple went with the A12 rather than than the A12X. However, I am using multitasking and doing things I normally do on my 12.9″ Pro and I haven’t run into major slowdowns or issues yet. I will be sure to note anything that does come to light over the coming days. So far on day one, the Air seems perfectly suited to the position its been given by Apple. Because of that, I expect that it will put a major dent in iPad Pro sales this year. This device delivers enough for its $499 base price that most of the people who would have stepped up from the iPad to a Pro for some extra features will now settle for an Air. You know what- there is absolutely nothing wrong with that, either. 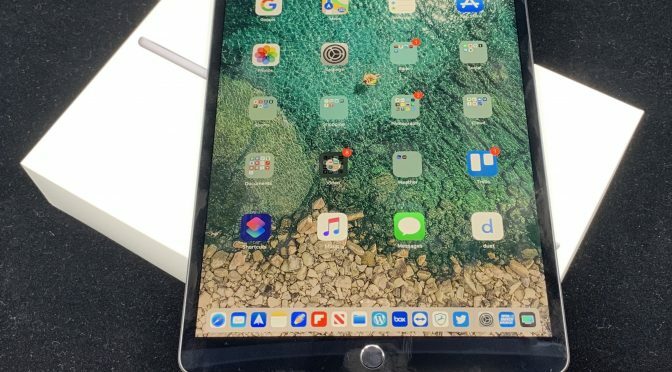 The iPad Pros are likely to become niche devices for those who need the more advanced features for work, or who are just interested in having the latest and greatest. 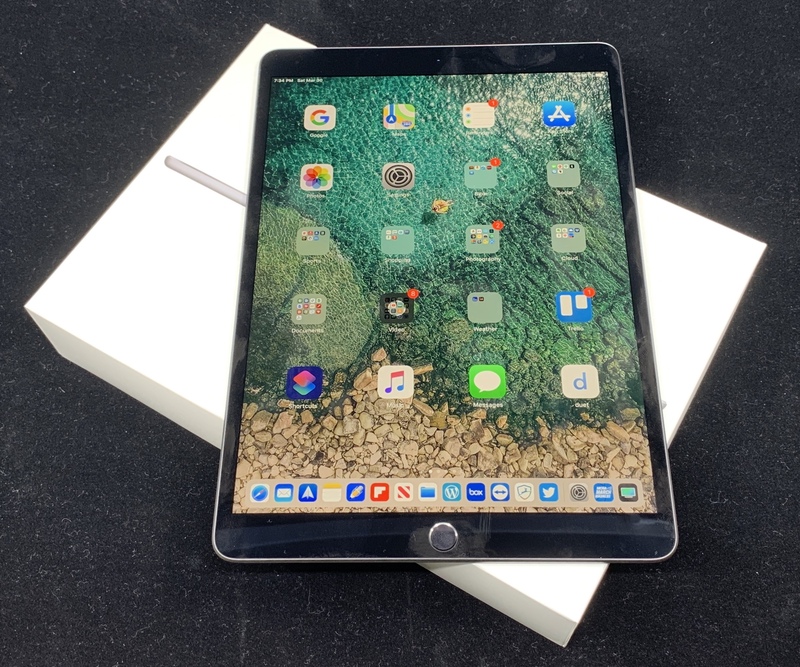 I am always going to be in that group, but I still appreciate the iPad Air for what it is and how it will change the iPad market going forward. And who knows, maybe I will end up keeping this Air for the long term. I couldn’t justify parting with $700 for a second iPad Pro, but for $499, I may be able to let my first gen iPad Pro go and keep this as our house device. I think it would fit that role very nicely. I will keep reporting on both the new iPad Mini and the new iPad Air in the coming days as I get more familiar with both.